This rustic timber gazebo blends perfectly with a native garden setting or is equally at home on the farm. 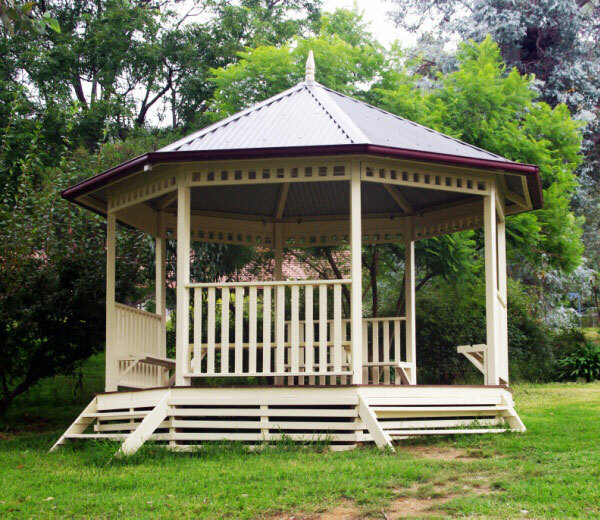 This eight sided wooden gazebo is constructed in dressed and oiled treated pine, as standard with a Colorbond roof, simple scallop cornice and picket fences. 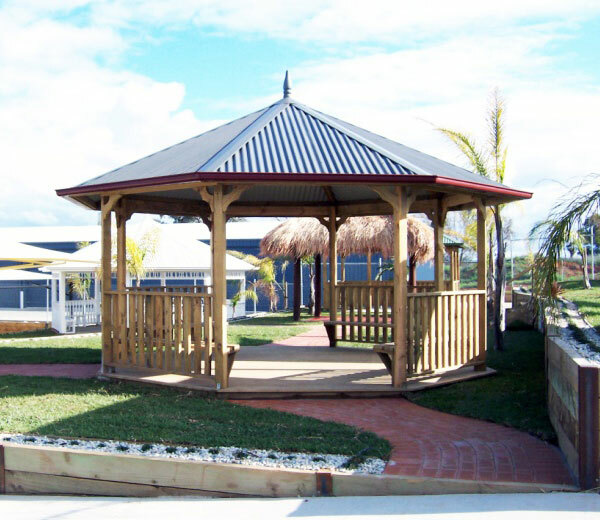 The standard timber gazebo kit has four fence and seat sections. It can be supplied ready to paint and with extra fence and seat sections if required. There are three sizes available – 3.6, 5.0 and 7.0 metre diameter. 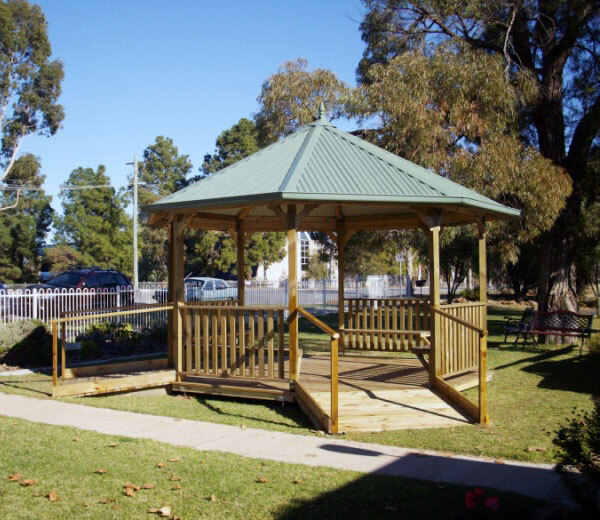 This wooden gazebo is suited to both domestic use and ideal for schools as shelter sheds and in council parks and gardens.